Bellfields Autos can assist with servicing and repairs for most make and model of vehicle. Though and independent garage, BAS, offer a comprehensive level of service that gives our customers a far more cost effective option than the main Dealer network offers. We can even uphold your new vehicle warranty! We follow all manufacturer’s service schedules, including timing belt changes, diagnostic checks, air conditioning checks and brake fluid changes. We also offer our own “tailored” service schedules to suit your vehicle’s needs. You are welcome to wait in our reception area while we carry out the service on your vehicle or leave with us. We also offer a FREE collection and delivery service (local to Guildford) to chauffeur you home or collect the vehicle from your own home. If you require a car service in the Guildford area, or looking to have your fleet serviced, please call or visit us today. We guarantee all our replacement parts and our labour with a national guarantee. We guarantee all our replacement parts and our labour with a national guarantee. 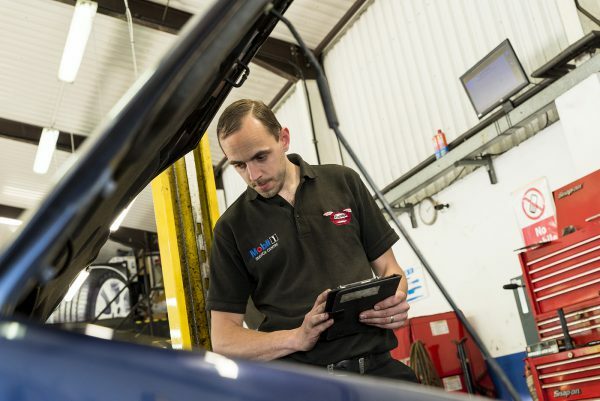 Unless otherwise stated or agreed, we offer a twelve-month warranty on all parts fitted and labour supported nationally by a network of independent garages – (UNIPART CAR CARE CENTRES). Please ask for further details. Bellfields Auto Services also provides MOT, Servicing and Repairs for classic and vintage cars. If you are looking for an independent garage in Guildford then let us help with all your servicing (as well as repairs). We specialise in most makes and models and use only experienced mechanics. Bellfields provides labour, parts and accessories at competitive rates and can save you money when compared to mainstream dealers. Some of the manufacturers we specialise in include: BMW, Audi, VW, Honda‘s and Nissan.